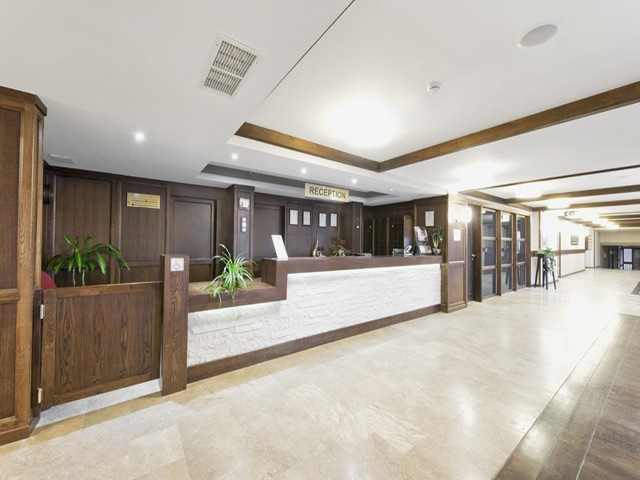 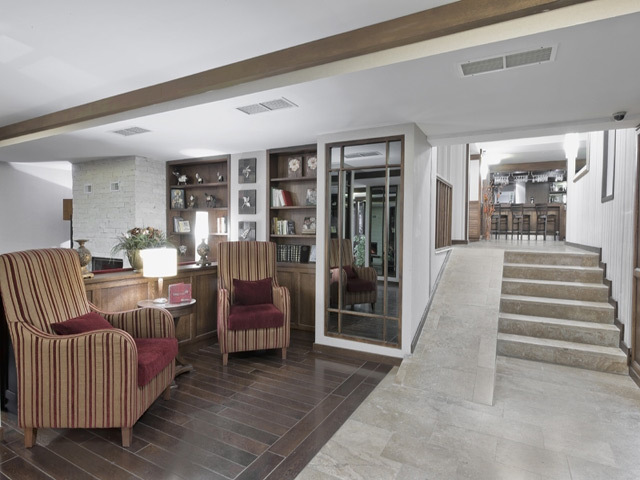 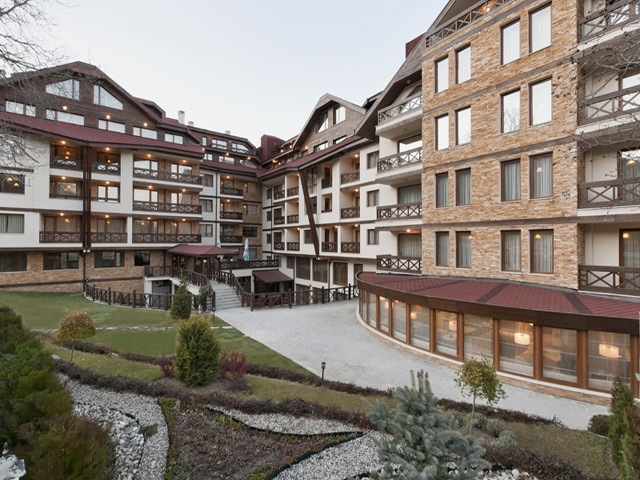 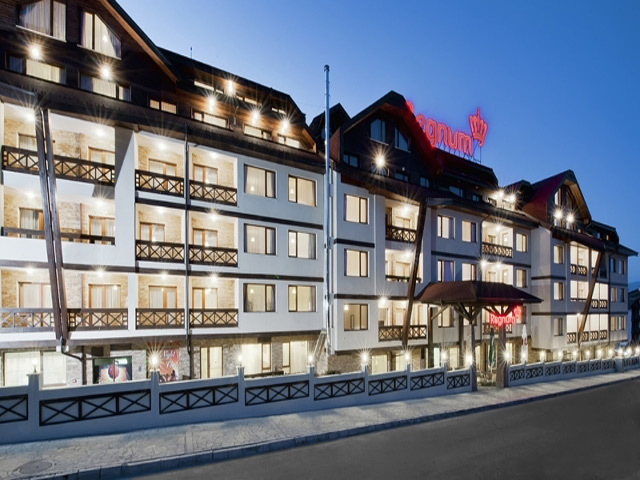 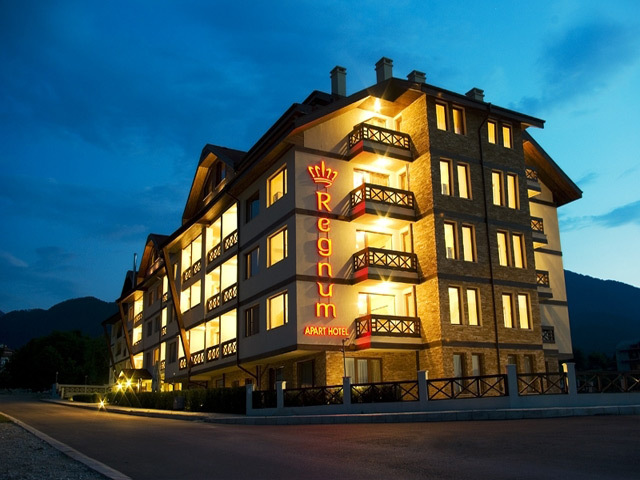 Regnum Hotel & Spa Bansko is located near the ski area, 400 m from the lifts and 900 m from the center of the town, at the very foot of the mountain and next to the Glazne river. 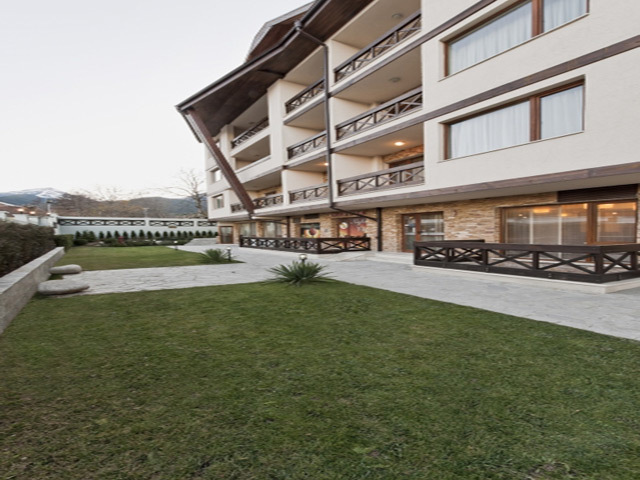 Surrounded by beautiful countryside and with its own style and design that distinguishes it from typical traditionalism in the resort. 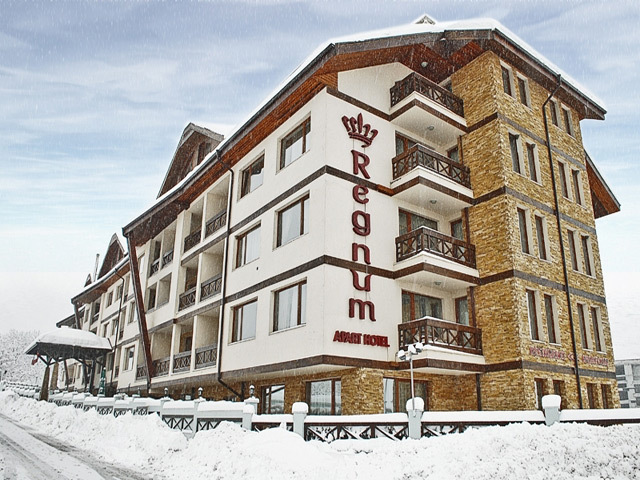 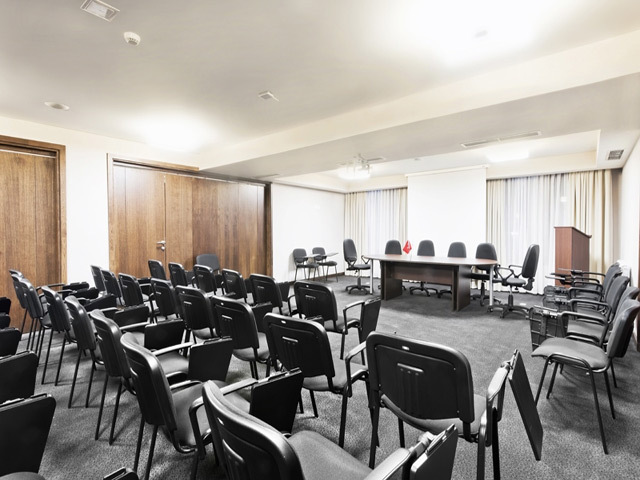 There are at the hotel luxury studios, one and two bedrooms apartments, fully furnished and equipped to meet every need and desire of the guests. 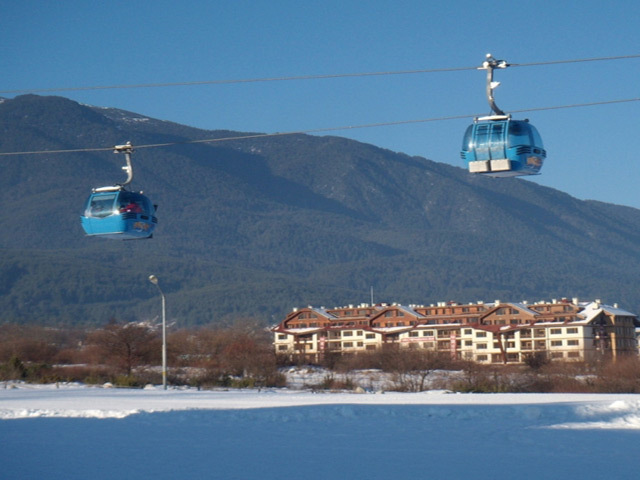 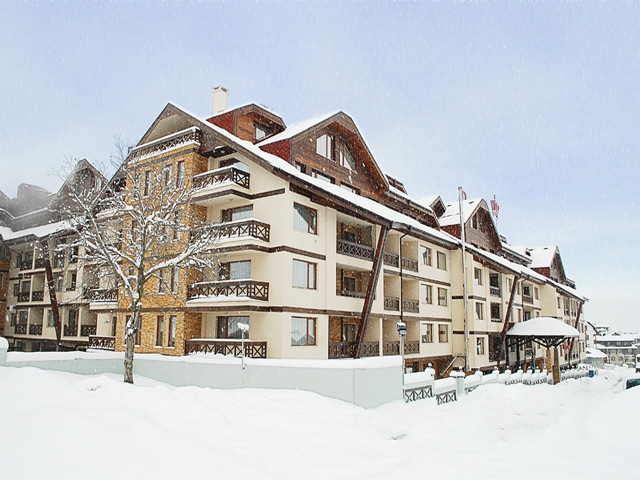 Bansko is the most popular winter resort in Bulgaria. 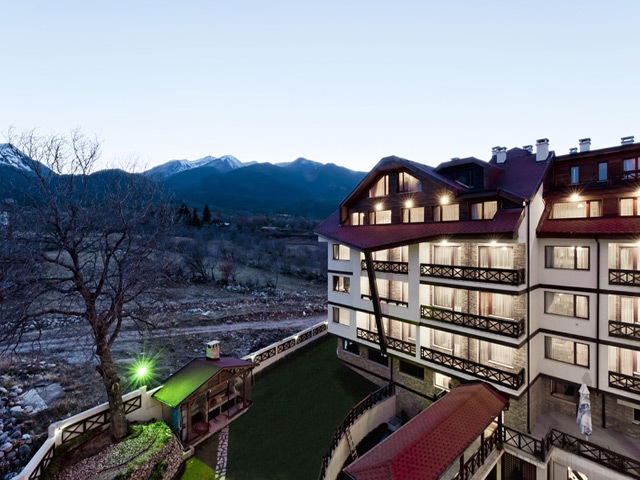 Located at the foot of Pirin mountain Bansko is a favorite destination for thousands of tourists all over the world. 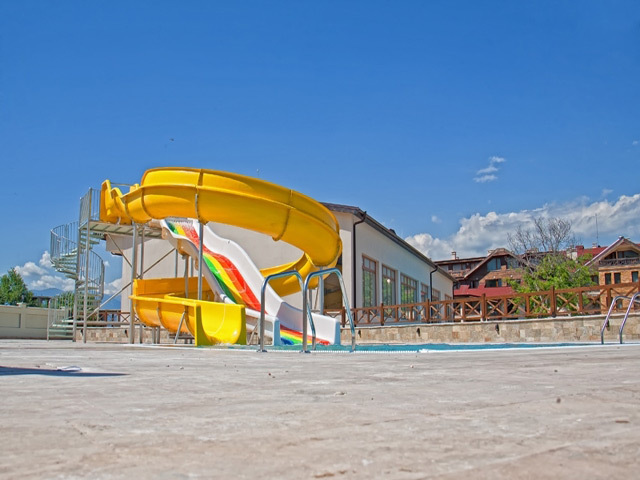 Situated at only 150 km from Sofia and at 145 km from Plovdiv airports it is an international centre for winter and summer tourism. 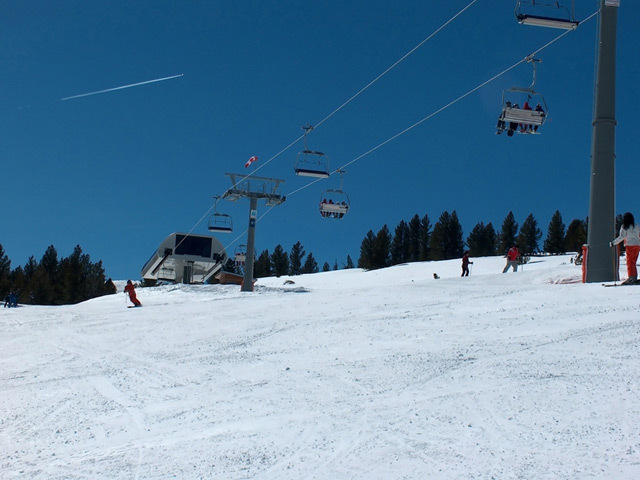 With its unique nature, the ski area with 75 km of ski runs, 27 lifts and drags Bansko attracts more and more tourists each year. 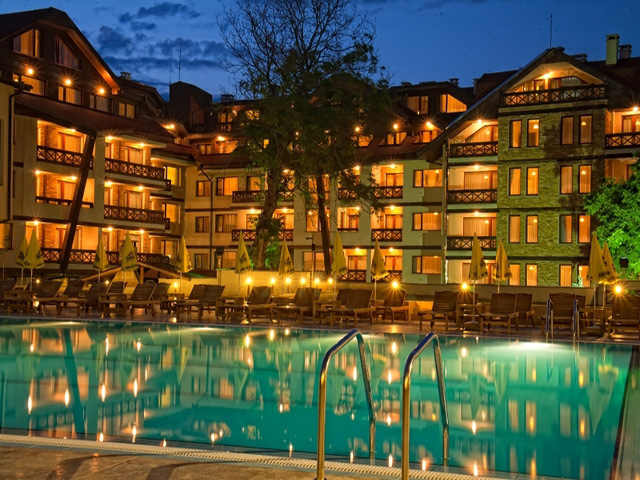 Bansko is a town of ancient and modern, center of international festivals, authentic culture and traditions. 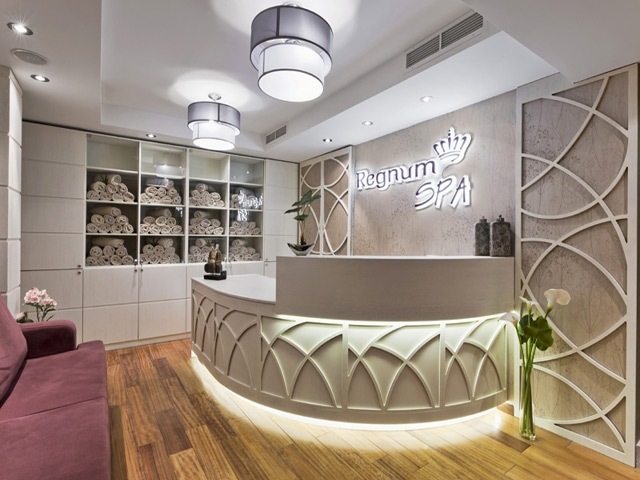 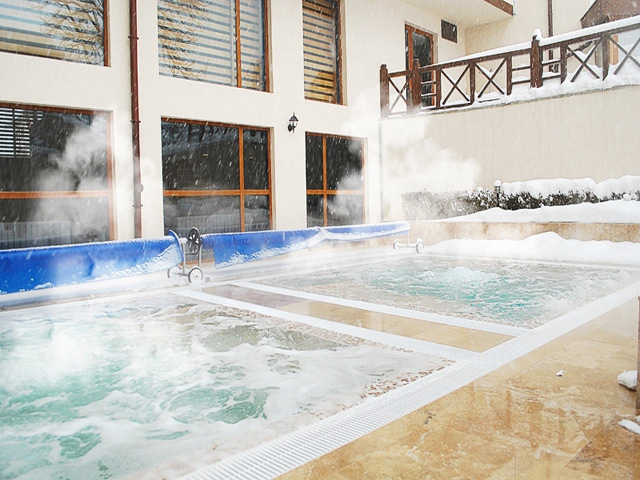 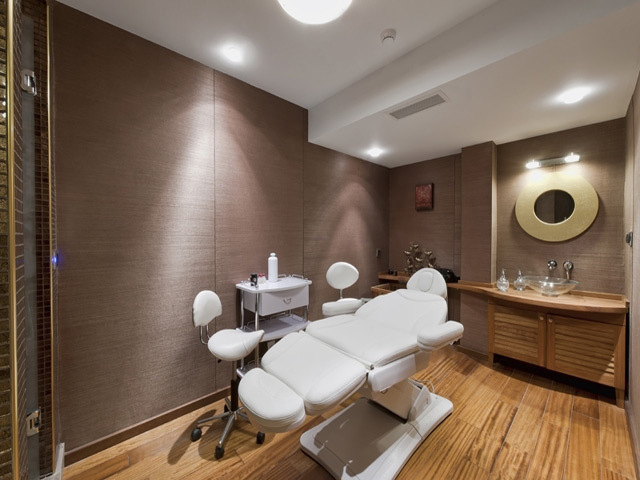 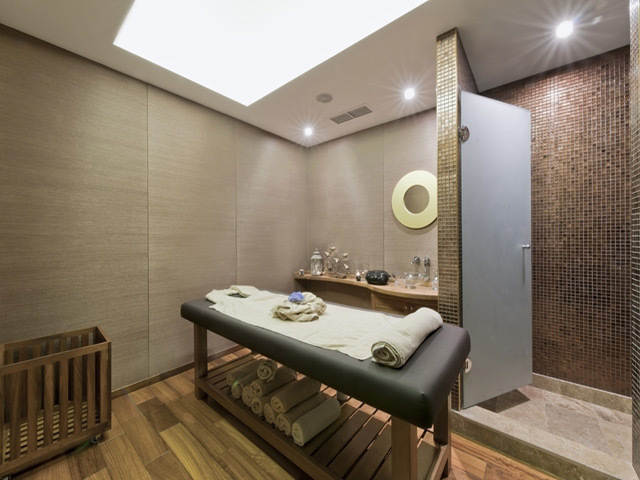 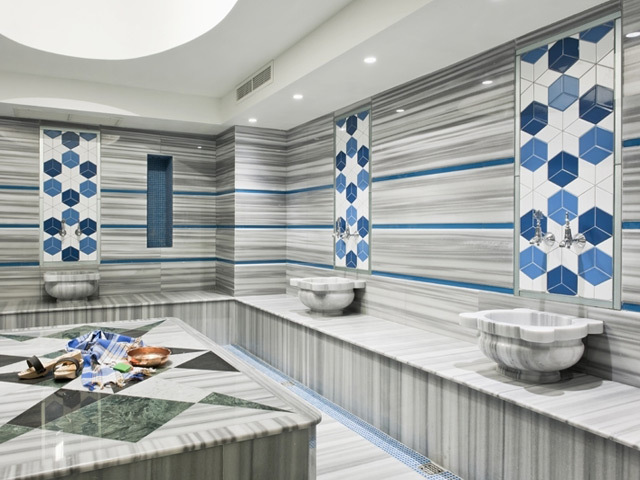 Spa centre – swimming pool, sauna, steam bath, Hamam, shock shower, gym, relax area, Jacuzzi – outside and inside, massage, manicure, pedicure, solarium, Vitamin bar. 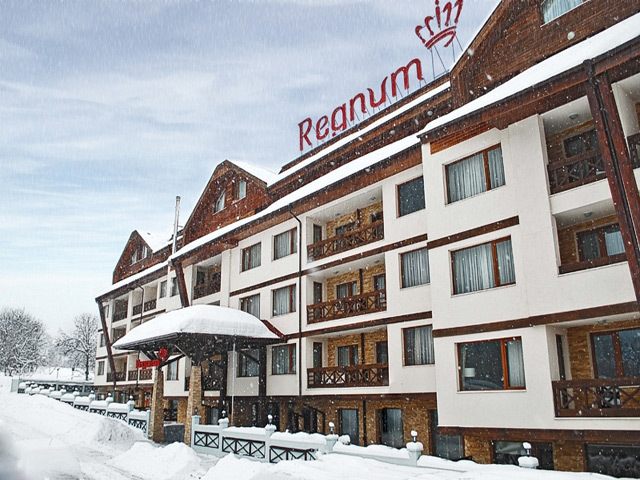 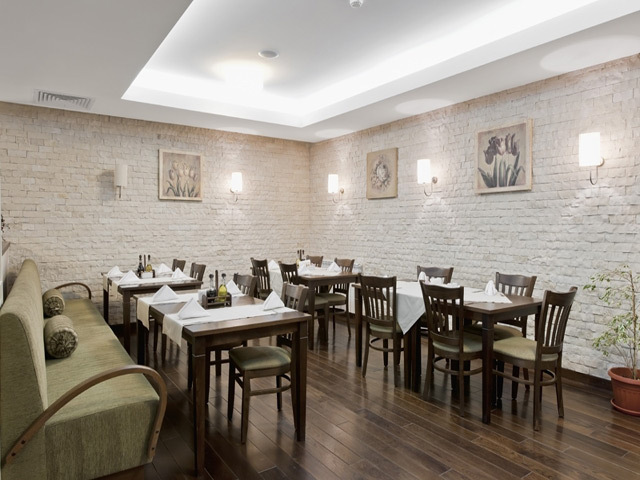 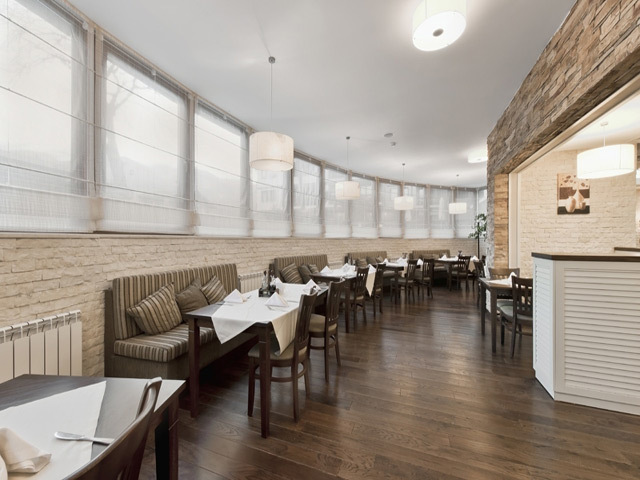 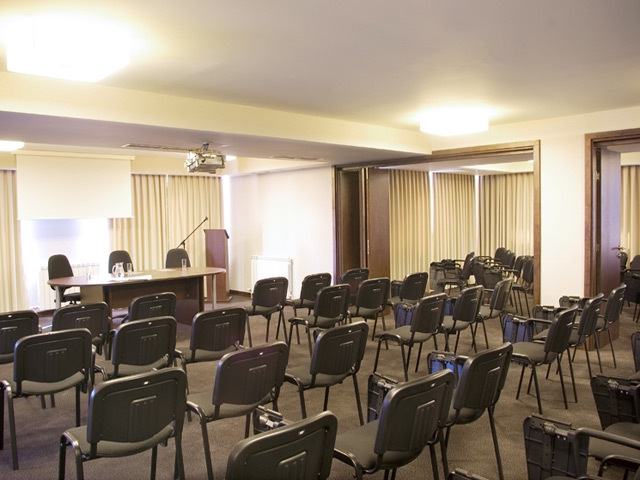 The restaurant at Regnum Hotel & Spa Bansko is with capacity of 140 seats. 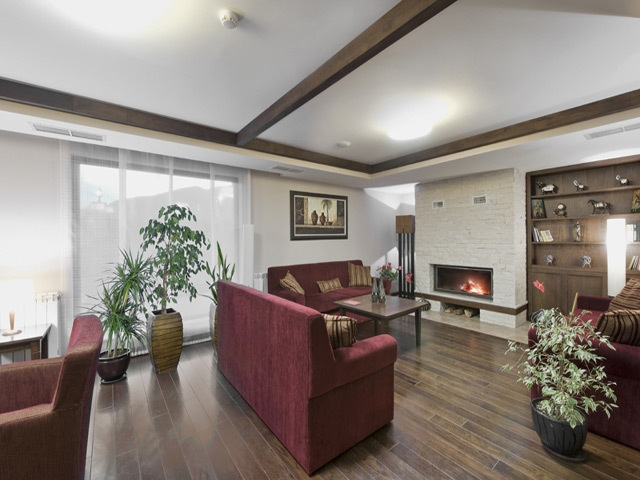 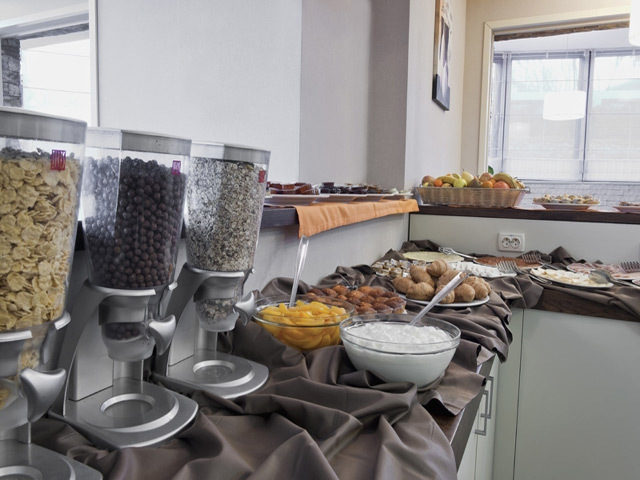 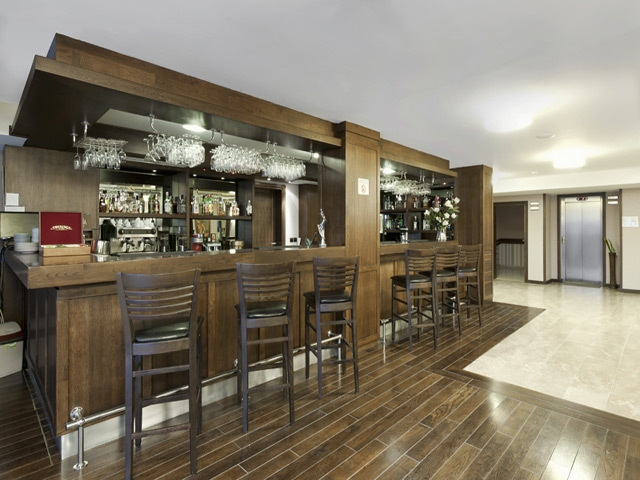 Combines luxuriously furnished with a cozy atmosphere. 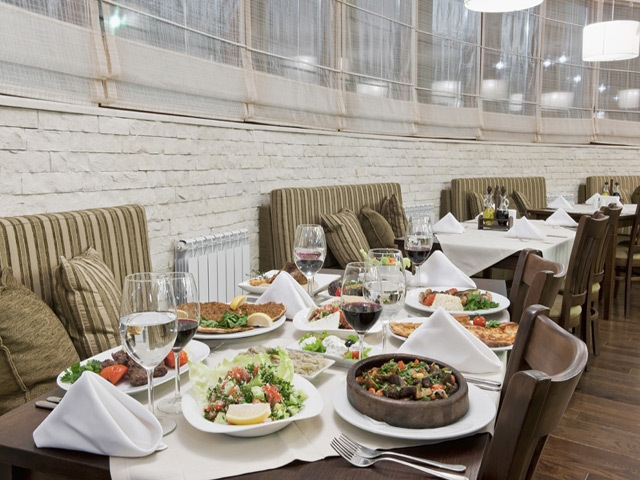 In the menu you can find dishes from traditional Bulgarian, modern European and authentic Turkish cuisine. 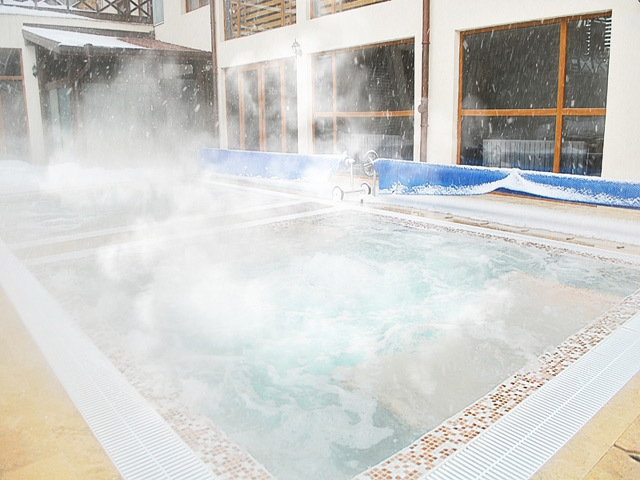 Above Special Rates include breakfast, swimming pool with kids area, Finnish sauna, steam bath, hamam, shock and tropical shower, relax room, 2 outdoor whirlpools 36 degrees C, indoor whirlpool, fitness, ski wardrobe for own ski storage, wireless internet, children area and entertainment / 4-14 years old /, transport to the gondola lift, outdoor guarded parking ( upon availability ). 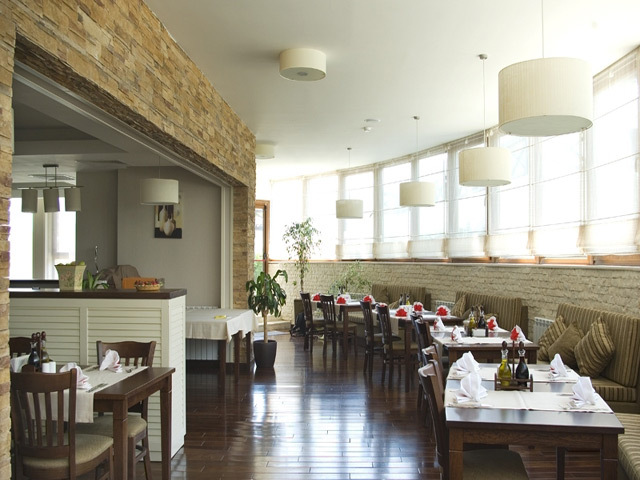 Check in time: after 15:00 o`clock, check out time – before 12:00 o`clock.
. 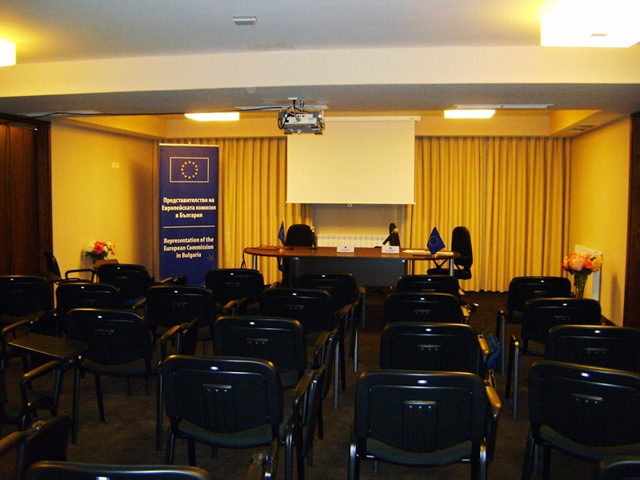 Above Rates are not Valid for people coming from Turkey, Modlova, Albania, Kosovo, Israel.